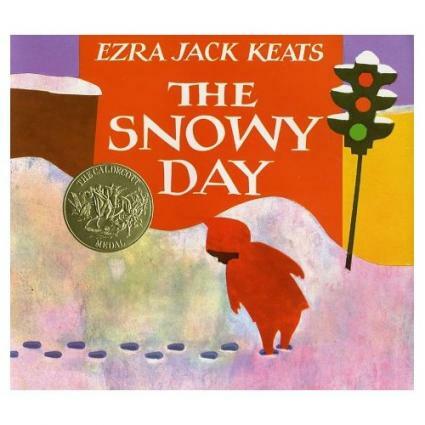 Lessons from The Snowy Day by Ezra Jack Keats can be used to help enhance your child's understanding of this children's book. Ezra Jack Keats was born Jacob Ezra Katz on March 11, 1916. From an early age, he was very interested in art. Even though Ezra Jack Keats won three scholarships to art school, he was unable to attend because his father passed away shortly before his high school graduation and his family needed him to earn an income. He worked at various jobs to support his family and briefly served in the United States Air Corp. In 1954, Ezra Jack Keats illustrated Jubilant for Sure by Elisabeth Hubbard Lansing. This marked the start of his career as a children's book author and illustrator. Ezra Jack Keats passed away on May 6, 1983 after a heart attack. At the time of his death, he had written and/or illustrated 85 children's books. The Snowy Day is recommended for children ages 4-8, although people of all ages will find delight in this tale of a day spent playing outside after freshly fallen snow blankets the neighborhood. The Snowy Day tells the story of a boy named Peter. He is too young to join the older childrenss snowball fight, but keeps himself occupied by making footprints in the snow, creating snow angels, building a snowman, and pretending to be a mountain climber. He tries to save a piece of winter by keeping a snowball in his pocket, but he's sad to discover it has melted by the time he gets out of his evening bath. One of the unique aspects of The Snowy Day is that this book features an African-American child as the main character. At the time, minority children were rare in picture books-usually limited to token characters in the background. Peter was inspired by a photograph of a young boy Ezra Jack Keats clipped out of Life magazine in 1940. The Snowy Day received the prestigious Caldecott Medal in 1963. Peter appeared in six more books, reaching adolescence in Pet Show. While The Snowy Day is a simple children's story, the format lends itself well to many lessons for young children. Where do you think Peter lives? How did Peter feel when he wasn't old enough to join in the snowball fight? What do you think Peter and his friend will do when they are playing in the snow? Why did Peter's snowball melt? What are some of the ways you are like Peter? You can find more questions about The Snowy Day on the Family Education Web site. Peter has lots of fun making footprints and creating snow angels. Make a collage using magazine cutouts to show all the things you like to do on a snowy day. Peter enjoys playing in the snow, but not everyone has seen snow. How would you describe snow to someone who lives in a warm climate? When Peter walks through the snow, he finds different ways to make footprints. Play a matching game to try to pair footprints in the snow with the animal that made the tracks. Peter tries to take a snowball inside the house, but it melts. Make a list of things that do and do not melt. When Peter's snowball melts, it's clear he doesn't understand how snow is formed. Go to the library or use a children's science Web site to learn how snow is made. You may not be able to keep a snowball in your pocket, but it's easy to make a snowflake out of paper. Make snowflakes of various shapes and sizes to decorate your child's room.